The 6.5 Guys have been testing the bargain-priced Magnetospeed Sporter chronograph. This compact chrono offers great utility at an affordable price — you can buy the Sporter for under $180.00. Strapped on your barrel, the MagnetoSpeed Sporter records velocities accurately without requiring any hardware to be placed downrange. Everything is self-contained at your shooting station, so you no longer have to waste time setting up tripods and aligning the bullet path through old-fashioned chrono skyscreens. “Optical chronographs have been in use for decades but can be cumbersome to deploy and don’t work well in certain weather conditions. 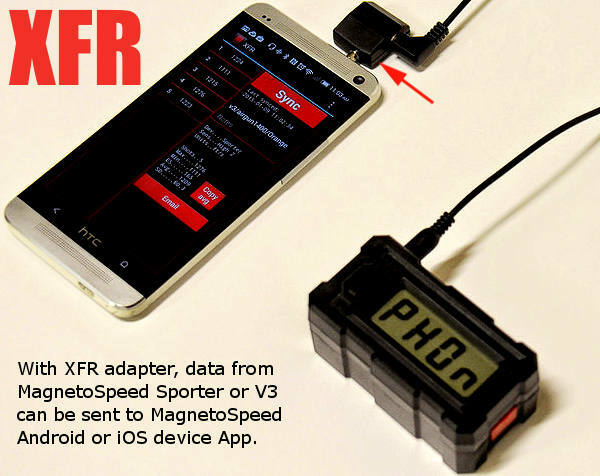 The folks at MagnetoSpeed have addressed these shortcomings with a completely different technology that is extremely compact, cost effective, convenient to use, insensitive to weather conditions and, best of all, accurate. CLICK HERE for MagnetoSpeed Sporter specifications and operating instructions. Priced at just $179.99 at Grafs.com, the Magnetospeed Sporter model costs less than half as much as Magnetospeed’s V3 models. This chronograph attaches directly to your barrel so you don’t have to go downrange to position tripods and set up skyscreens. For most people, the Sporter model contains all the features they need. 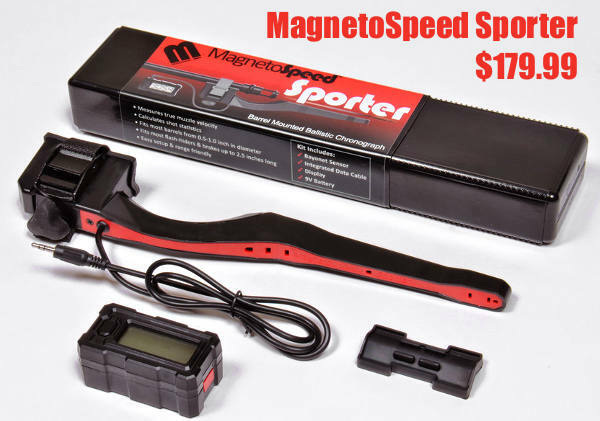 READ Magnetospeed Sporter Review. Share the post "6.5 Guys Review $180.00 Magnetospeed Sporter Chrono"
How would you like to run one of the most respected firearms industry enterprises in the world? Well there will be a job opening at the top, the very top, in one year. 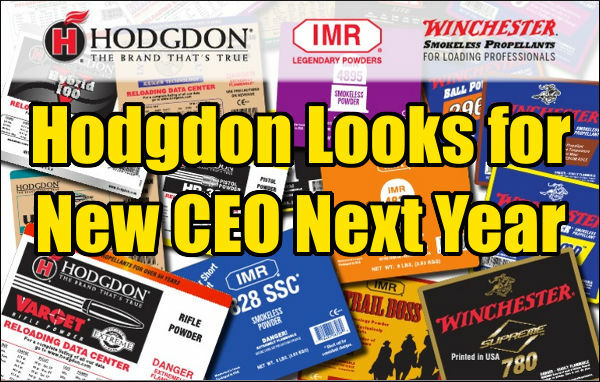 Hodgdon Powder Company today announced the future retirement of Hodgdon Chief Executive Officer (CEO) Tom Shepherd. 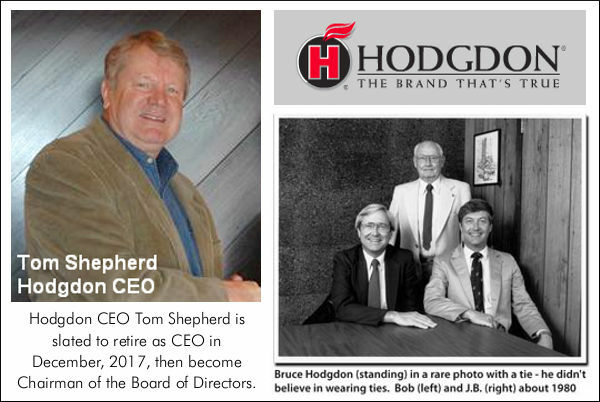 On December 31, 2017, Shepherd will retire from his current position and transition into his new role as Chairman of the Board of Directors of Hodgdon Powder Company. “Tom has been our Chief Executive Officer for nearly 15 years, serving in this role since 2002,” said Bob Hodgdon, current Hodgdon Chairman of the Board. “In his tenure, Tom has lead us to record sales growth and positioned Hodgdon for the future. We have been working on this succession plan for some time now, and the entire Hodgdon family, the Hodgdon Board and all Hodgdon employees are excited for Tom as he prepares for the next stage of his career with Hodgdon.” Bob Hogdon and J.B. Hodgdon, sons of company founder Bruce Hodgdon, will continue to serve on the Hodgdon board. As part of the succession planning process, Hodgdon is now moving forward with a search for a new Chief Executive Officer. This search will include both internal and external candidates and is expected to conclude by mid-year 2017. Established in 1947 by Bruce and Amy Hodgdon, today, sons Bob and J.B. have grown Hodgdon Powder Company into the largest US supplier of smokeless, blackpowder and blackpowder substitute propellants. The company distributes gunpowder under the Hodgdon®, IMR®, Winchester®, Goex® and VihtaVuori® brands. Share the post "Dream Job — Be the New CEO of Hodgdon Powder Company"